The films of Claire Denis probe the idea of global citizenship and trace the borderlines of family, desire, nationality and power. Her films, including Chocolat, Beau travail and White Material explore connections between national experience and individual circumstance, visualizing the complications of such dualities. Following a foreword by Wim Wenders, international contributors explore the themes she addresses in her films, such as kinship and landscape, neo-colonialism and New French Extremity. Original interviews with an editor, actor and two composers familiar with Denis's working style and with Denis herself, also reveal fresh facets of this intrepid filmmaker. 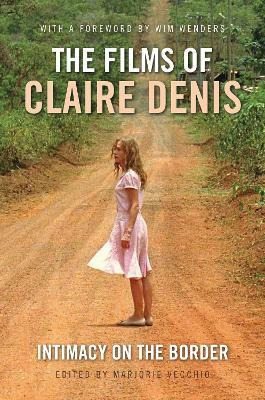 Buy The Films of Claire Denis by Marjorie Vecchio from Australia's Online Independent Bookstore, Boomerang Books. Marjorie Vecchio is a curator. In 2009 she was selected as the inaugural Fort Foundation Art Scholar-in-Residence at Columbus State University to work on this book.